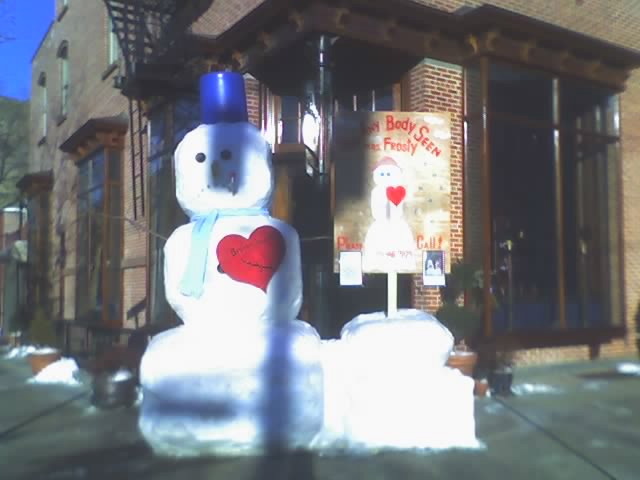 To give you some scale, Mr. Frosty’s heart is at about 6 ft. These are gigantic! And amazing. Definitely a great deal of effort was put in to create them. The sign has a reward on in for a free dinner at the LightHorse for information leading to the recovery of Mrs. Frosty. It made me smile that the LightHorse would at least have some fun with the situation. I apologize for the quality of the photos, they were taken with the camera on my cell phone and well, Megapixel it is not. This entry was posted in General, NYC. Bookmark the permalink. 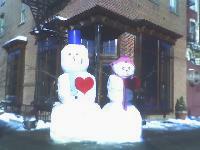 When you say the heart is six feet do you mean from the ground or across in height or width. 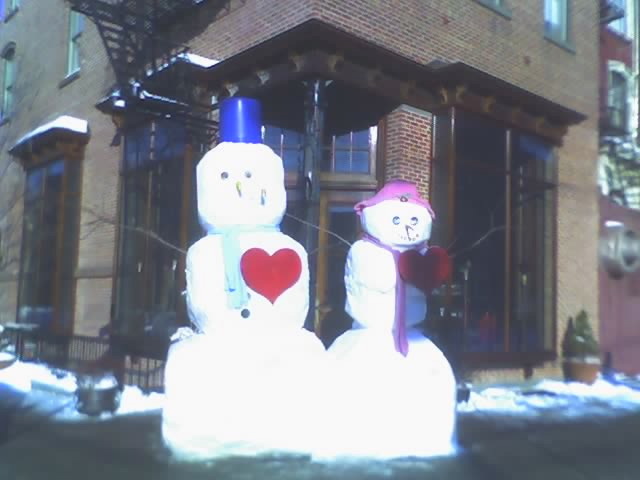 If the heart itself is six feet tall or wide that snowman is huge. I hope you stopped in and gave your condolences. She seemed to be a mighty fine woman if not a bit cold at heart.